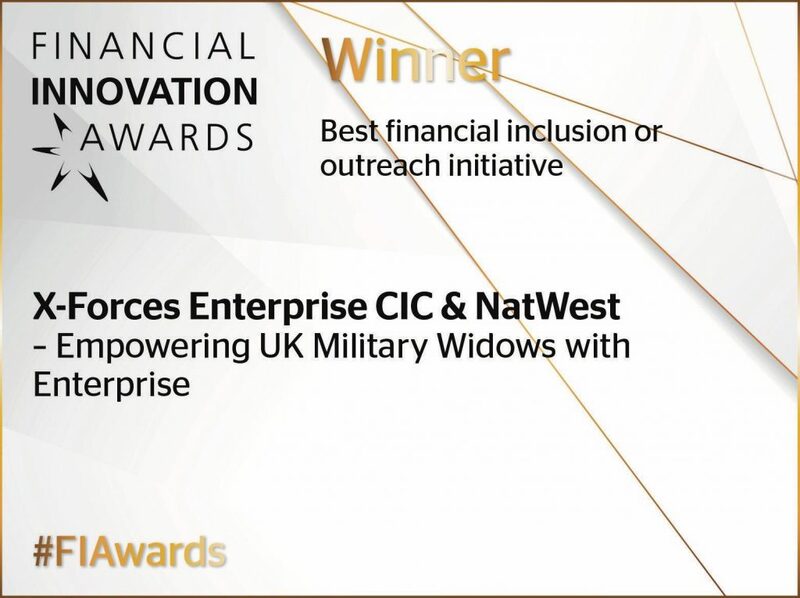 I am delighted to announce that the ‘Empowering Armed Forces Widows Through Enterprise’ Programme run by X-Forces Enterprise and hosted by NatWest was a finalist at the Financial Innovation Awards. 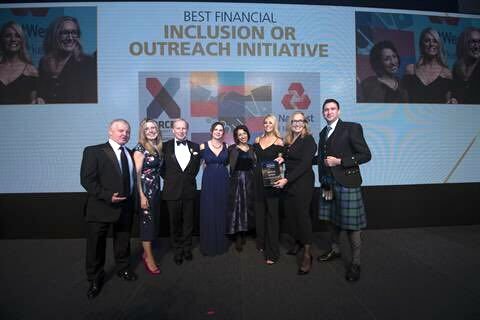 We were shortlisted for the ‘Best financial inclusion or outreach initiative’ and are so proud to announce that WE WON! 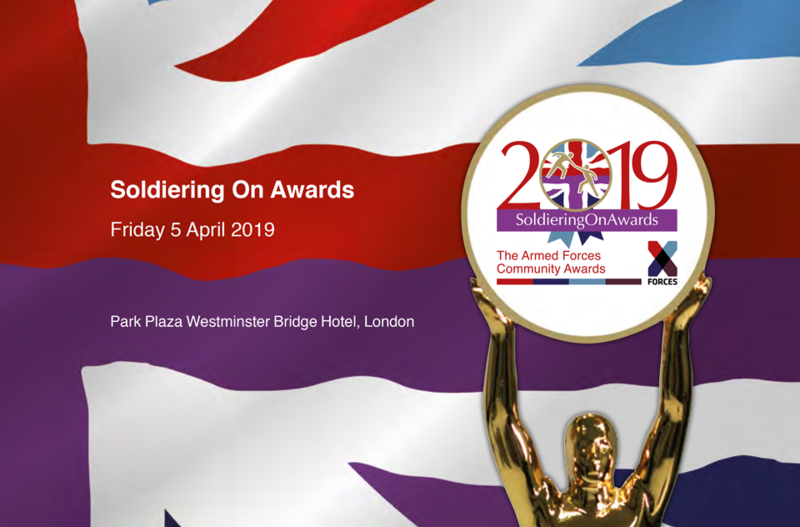 We could not have done this without the collaborative efforts of Forces Pension Society Charitable Fund, NatWest and of course the Navy, Army, RAF & War Widows Associations. 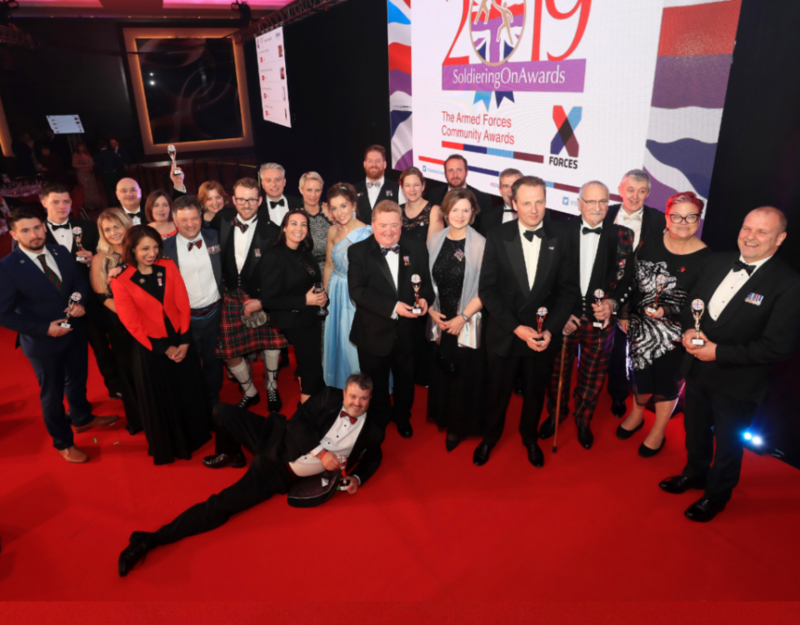 NatWest we thank you wholeheartedly for putting this nomination forward and the foresight in knowing what a big difference this would make in shining the light on this amazing cohort of deserving individuals. 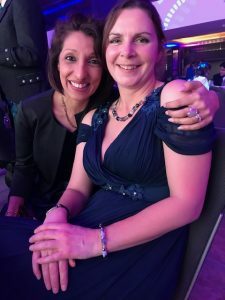 The category recognised the difficulties in accessing financial basic services for certain groups and the resulting loss in opportunity for those communities. 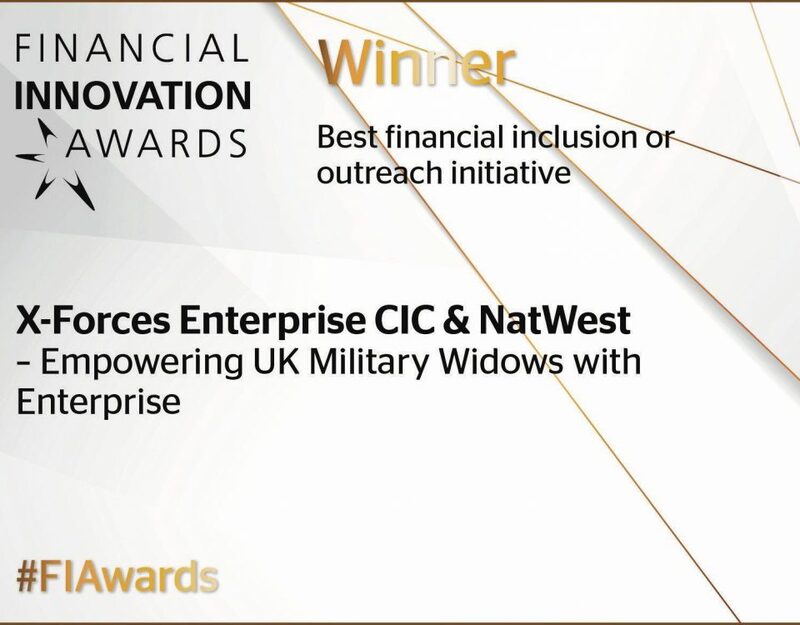 This encapsulates the core motivation behind our desire to create such a programme: we wanted to ensure our Armed Forces widows, widowers and dependents were not deprived of the opportunity to realise their entrepreneurial and enterprise ambitions for both self-employment and employment community inclusion. We could not have asked for a better first cohort and are already looking forward to the next programme in 2019. If you are interested in applying for the next programme, please email anne@x-forces.com or call us on 0207 811 3969.